The Gant is Aspens finest condominium resort providing exceptional and gracious lodging and meeting services. 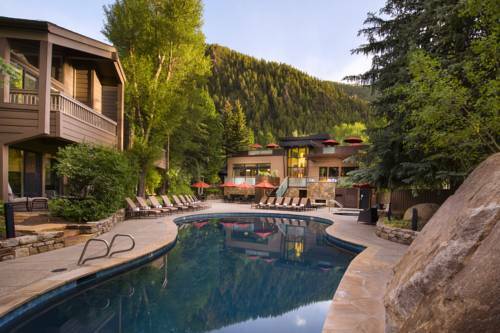 Nestled in a peaceful enclave near the Aspen Mountain Silver Queen Gondola as well as world-class shopping and the finest restaurants The Gant offers individually decorated condominiums with the comforts and luxuries of a private home. By anticipating guests every need the staff offers personalized services including the legendary Gant Vans and attentive concierges. The Gant Conference Center creates an inspiring environment for productive meetings and festive celebrations. The addition of Pepperjacks Cafe in 2014 makes The Gant Aspens first condominium resort to offer food and beverage service. Pepperjacks Cafe: Overlooking the pool area Pepperjacks Cafe serves up locally roasted gourmet coffee- pastries- casual breakfast and lunch options as well as beer- wine- and signature cocktails. Restaurants: Aspen hosts upwards of 100 Bars and Restaurants. Please contact the concierge for more info and reservations. Located in a quiet neighborhood on the southeast end of town just 3 blocks from the gondola and downtown. Close enough to walk in to town but secluded enough to be quiet and relaxing.